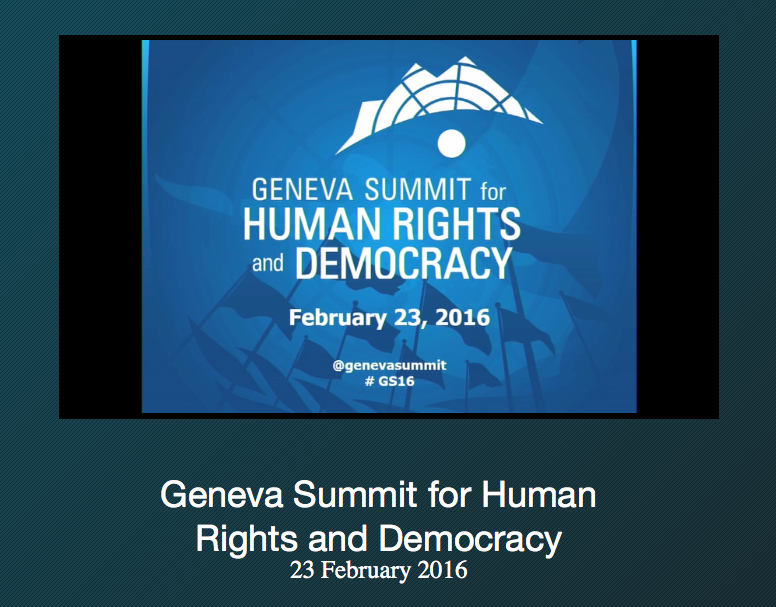 For the 4th consecutive edition, globalvision streamed in live the Geneva Summit for Human Rights and Democracy. This conference assembles each year hundreds of courageous dissidents and human rights victims, activists, diplomats, journalists and student leaders to shine a spotlight on urgent human rights situations that require global attention. The Geneva Summit has been featured in medias around the globe, including CNN, Agence France Presse, AP, The Australian, the Wall Street Journal, Spanish news agency EFE, Radio Free Europe and ANSA. For the occasion, globalvision‘s technical team deployed a multi-camera system and a video mixer to show a dynamic editing livestream. Contact us to know more about our streaming services.